Home Knowledge Centre Blog Success starts here – the stories so far. Success starts here – the stories so far. The thing I wanted to talk about in today’s introduction, as we move into the heady days of English summertime (at some point at least, let’s hope) is the response we’ve had to our “success stories” campaign. You may remember in the last edition I asked readers to send in stories of their own business’s creation, growth and success to date. Our mantra at Peninsula is “success starts here”; we believe that our members will be more successful doing what they do best (i.e. running their business) with Peninsula as one of their trusted partners, relieving them from their worries and concerns on employment law and health & safety issues. The proof of the pudding however is, of course, in the eating. The response to our campaign has been frankly fantastic. I thought we’d get a handful of responses – we’ve had dozens. It shows how proud people are, quite rightly, of the businesses they’ve built and how they are keen to share the journeys they’ve been on and the progress they’ve made with others. It’s been genuinely interesting for us here at Peninsula to read the stories of innovation and success. We are proud to be associated with such companies, such entrepreneurs, with people who are prepared to take a risk and give their ideas a chance. The stories are really inspiring. Sometimes members started their companies from their back bedrooms or with tiny initial investment budgets. Some spotted a gap in the market and, by hook or by crook, found a way to capitalise on it and lever their way in. Some entered an already crowded marketplace but, by offering fantastic service or a different approach, managed to steal a march on established players. Many recurrent themes are coming out, which are fascinating as a business observer as well as a business owner. Timing isn’t necessarily everything – some members started out just as the recession hit, for example, but still made it, possibly even stronger because of the tough market in which they launched. Just because other operators already offer a service or product doesn’t mean you can’t do things better, as long as you can offer something different and raise the game. Service is more important than ever, whatever industry you operate in, and is one of the key differentiators our members point to, across all sectors and across all businesses, as a reason for their success. 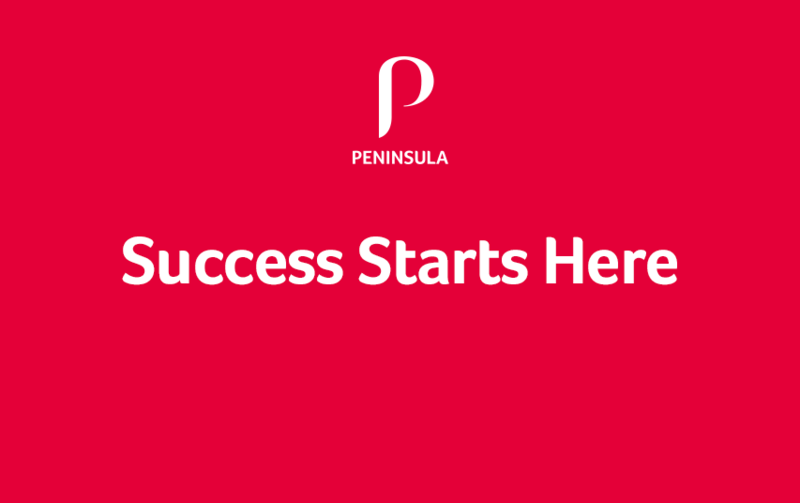 It’s been very rewarding for us to read how Peninsula has helped these companies build on their success by taking away some of the additional stresses and strains that can be caused by employment law and health & safety headaches, inevitable as businesses grow and take on more staff. We hope we’ve made a small but valuable contribution along the way by freeing business owners up to focus on what really matters to them and concentrate on doing what they really love doing. We’ll be featuring all the stories in the Bottom Line over the coming months. I hope you enjoy reading them and learning from our members as much as I have. Our first story, looking at how a spur of the moment decision to buy a second home for the family in Cornwall has turned into a fully fledged, thriving hospitality business, runs today; I for one thought the result of their hard work and labours looks absolutely idyllic. Click here to see for yourself. Please continue to send me your stories at peterdone@peninsula-uk.com; just give us the bare bones and we’ll call you back to work up a draft for your approval and we’ll let you know when your story will appear. It’s a great marketing opportunity to showcase your business’s success to more than 100,000 readers and we are really enjoying reading and sharing our members’ success stories. Keep them coming.